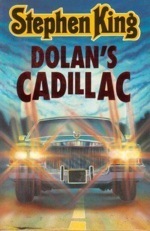 Dolan’s Cadillac is a short story by Stephen King. It is included in Nightmares and Dreamscapes, King's fifth collection of short stories. There were plans to adapt it into a feature film starring Kevin Bacon and Sylvester Stallone, with Stacy Title in the director's chair, but the project never came to fruition. IGN.com reported in April 2008 that production would begin in May on a film adaptation starring Christian Slater as Jimmy Dolan and Wes Bentley as Robinson. Erik Canuel will direct from a script by Richard Dooling. The story is narrated by the protagonist, a schoolteacher, and there is only one other main character, Dolan.